2014 Fall Mini Sessions will be held on Oct. 11th (rain date: Oct. 12th). Please contact me for times and location. 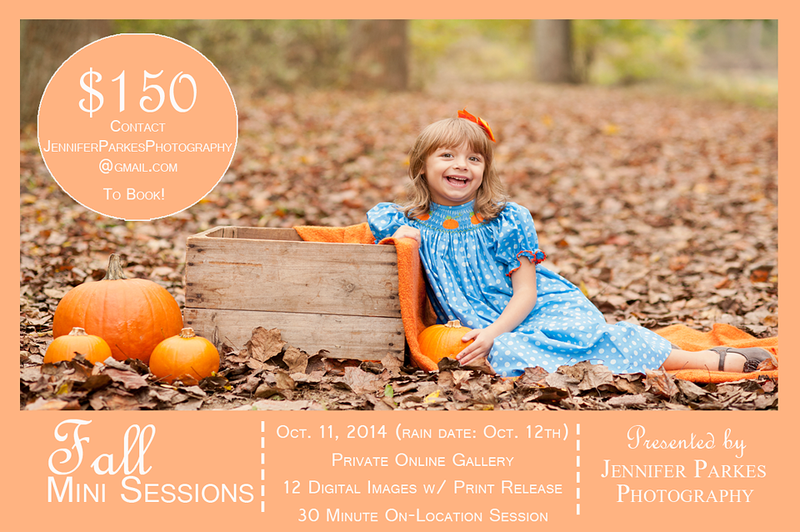 I will only be doing a one day Fall Mini Session this year.